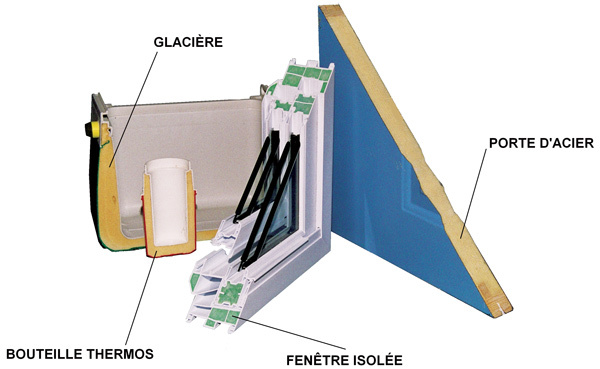 Portes et fenêtres Président sells the only window in Québec that blends an insulating-foam injected PVC frame with a sealed unit that’s highly energy-efficient. Our ISOTHERMA technology is one of a kind in Québec and provides energy-efficient performance that’s second to none. The ISOTHERMA+ window series combines a triple pane with an insulated frame, resulting in superior thermal insulation and noise reduction. 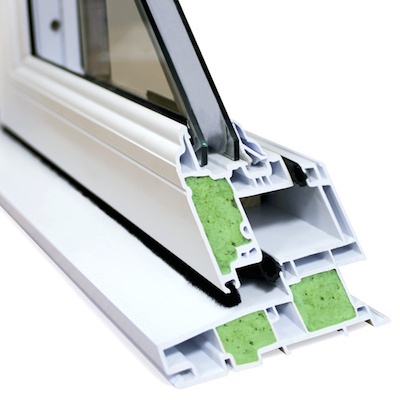 Like our ISOTHERMA series, these windows use quality components and professional assembly to provide you with the best possible products on the market. * ISOTHERMA+ is a registered trademark of Portes et fenêtres Président Inc.
Our ISOTHERMA series provides you with a double pane and insulated frame for superior energy efficiency. That means less heat loss, condensation and noise for the ultimate in comfort. Traditional PVC frames are made with hollow chambers, which results in loss of heat through conduction and convection. Our engineers developed a procedure that injects urethane foam into the frame, significantly increasing its thermal resistance. This procedure is similar to those used with great success to insulate everyday products like coolers, thermoses and steel doors. 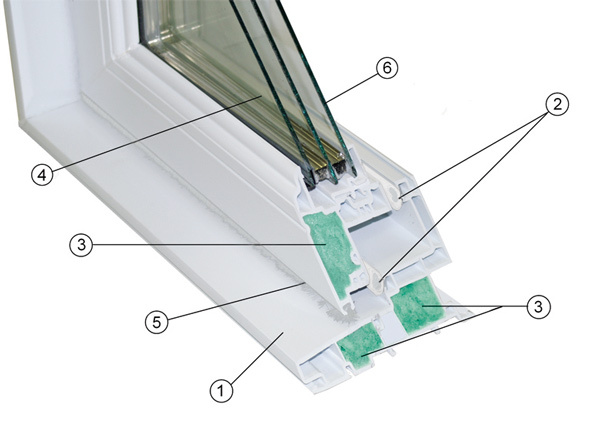 By combining our high-performance sealed units with this injection process, our window’s energy efficiency is vastly improved. 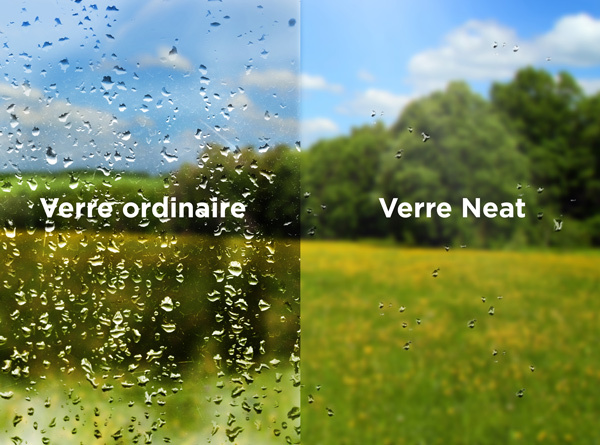 * ISOTHERMA is a registered trademark of Portes et fenêtres Président Inc.
Self-cleaning NEAT™ glass is made with a layer of titanium dioxide, which reacts to the sun’s UV rays to break down dirt on the glass. Rain water then washes away any residue naturally—leaving your windows almost completely dirt-free! These windows work even in cloudy weather, since 80% of UV rays travel through cloud. provides the most energy efficiency, allowing 79% light transmittance. offers ultimate 4-season comfort, allowing 72% light transmittance. offers the perfect balance of sun control and high visibility, allowing 66% light transmittance. provides exceptional thermal insulation and sound reduction, allowing 44% light transmittance.